This wig is beautiful and very well styled. However, its unique styling makes it a wig that will not.. This wig is just so adorable! It is flattering, easy to style and has a wonderful feel to it. I woul.. 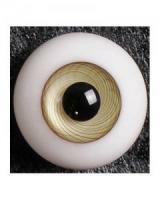 Pure, pale grey eyes. The pic shows them with a slight yellow cast - at least on my monitor - but th..
Beautiful wig! Very well constructed and very flattering. At this price, it is practically a steal. Very soft and silky feel to this wig. It looks beautiful on my doll and required nothing in the way ..
Great multi-piece fashion! 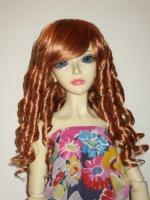 The dress stretches and fits different 16" dolls. The boots and the furry..